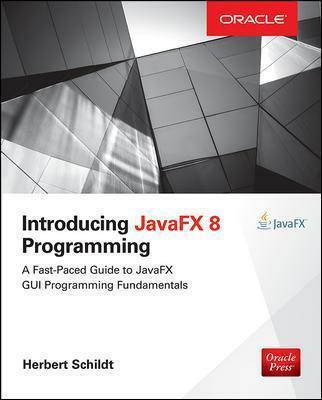 Learn the Fundamentals of JavaFX 8 from Programming Guru Herb SchildtIntroducing JavaFX 8 Programming provides a fast-paced, practical introduction to JavaFX, Java's next-generation GUI programming framework. In this easy-to-read guide, best-selling author Herb Schildt presents the key topics and concepts you'll need to start developing modern, dynamic JavaFX GUI applications. The book begins with the fundamentals, including the general form of a JavaFX program. You then advance to event handling, controls, images, fonts, layouts, effects, transforms, animations (including 3-D animations), menus, and more. Numerous complete examples are included that put key topics and techniques into action. Designed for Java programmers, the book's focus is on the JavaFX API and all examples are written entirely in Java. Best of all, the book is written in the clear, crisp, uncompromising style that has made Herb Schildt the choice of millions worldwide.